Love that you posted this!!!!! Stacia is totally awesome and is a beautiful person and writer. So glad I’ve been able to meet her, albeit briefly. Hiking with her is definitely on my bucket list! 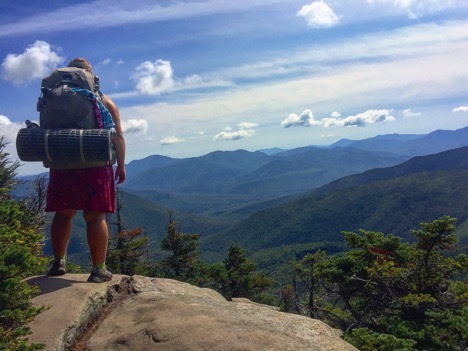 Curious if you ever completed a full thru-hike and/or what happened that didn’t let you complete your goal. Stacia here. 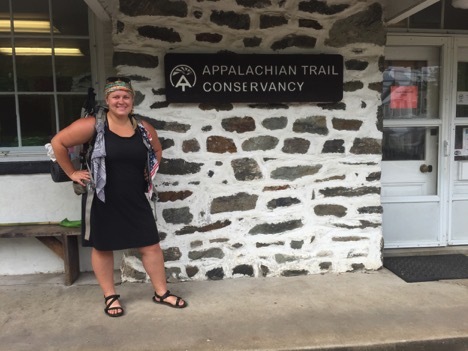 I have attempted to thru-hike the AT twice. Both times I had to get off trail due to injuries in my feet. The first time I fractured my left foot. The second time I got debilitating plantar fasciitis that would not heal (and still hasn’t, two years later). I’ve funished about 1400 miles of the AT and plan to finish the remaining ~800 miles as one long section once I graduate from nursing school next year. Lots more info about this, including what I’ve been up to since leaving the trail (living full time in a camper!) can be found in my blog which is linked at the top of this page. Let me know if you have any other questions! 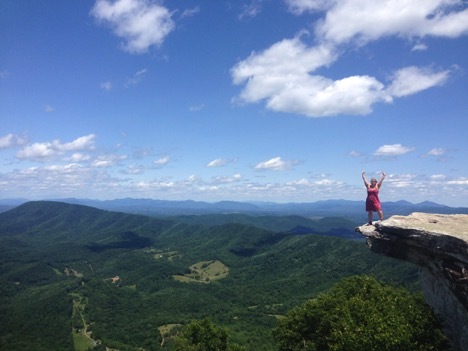 For the sake of clarity, I’ve completed 1400 UNIQUE miles of the AT. 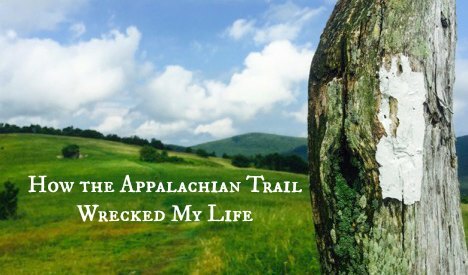 I’ve hikd well over 2000 miles ON the AT, as the article states, including the miles I repeated during my second thru hike attempt and other section hikes since then. I am so proud of you! What a remarkable adventure! Sorry to hear you had health issues but I’m sure you will complete your journey some day. You have learned many life lessons that have and will continue to affect your life forever. Keep following your heart! Thank you Mary! I’m still plugging away at it! I am 55 and I want to be like you when I grow up. My thru hike is planned to begin in April 2019. Thanks for being an inspiration. 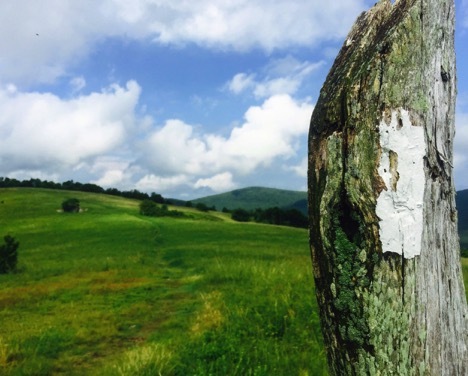 Way to go Stan, just finished a section hike back in June and completed the entire state of Georgia in 4 days. It is amazing and although a challenging state it will get you in shape for the remaining states. Enjoy. Hey Stan! Thank you for the kind words, and also: WAY TO GO! It’s going to be the adventure of a lifetime. Super excited for you! 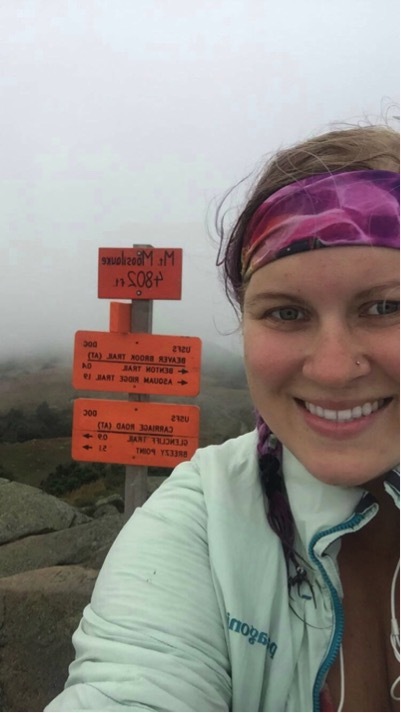 Stacia congrats on your hiking mileage. I enjoyed the post and thank you for sharing it. Good luck with the rest of nursing school. I’m a RN in Labor and Delivery and love it every day. Cathy, thank you! I’m really super excited about nursing school and getting into the profession. I think nursing is going to provide what my previous jobs have been lacking: fulfillment, mental and physical stimulation, and excitement! I loved this post Stacia, Thank you so much for sharing! Your perspective is very refreshing! Stacia, I can relate to the changes you describe. I started section hiking the American Discovery Trail 3 years ago and can’t stop longing to be back out there. I am in the process of moving into my van with my dogs to travel and hike. Few people get it so it’s nice to find the communities of women who do. Sondra this is so exciting! You’re so very right: few people “get” it. Like, why I want to live in a camper instead of a house or walk through the woods for weeks on end lol! Super excited for you, you’re going to LOVE van life.